NASHVILLE – December 14, 2017 – CMT this week achieved an impressive milestone notching an entire year, 53 consecutive weeks of year-over-year ratings growth, which is the longest active growth streak among all ad-supported cable. This quarter alone, CMT is generating the highest year-over-year gain of any Top 50 ad-supported cable channel in Women 18-49. Furthermore, CMT finished the 2017 Fiscal Year up +12% among Adults 18-49 and up +13 among Women 18-49 from the prior year and earned its highest-rated year since 2014. (L+SD Competitive Growth Streak as of December Week 2, 2016 based on Adult 18-49 coverage ratings, Weekly Total Day year-over-year growth among ad-supported cable networks. CMT Fiscal Year: October-September). 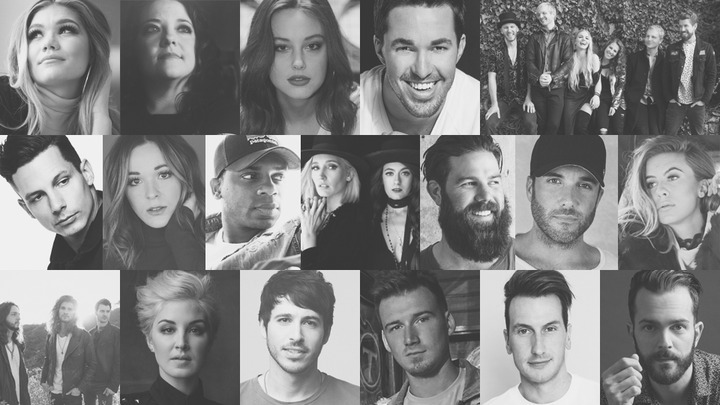 This year’s “18 for 2018” LISTEN UP artists are Abby Anderson, Ashley McBryde, Bailey Bryan, Cale Dodds, Delta Rae, Devin Dawson, Jillian Jacqueline, Jimmie Allen, Jordan Davis, Kassi Ashton, Levon, Maggie Rose, Morgan Evans, Morgan Wallen, Russell Dickerson, Ryan Kinder, The Sisterhood Band and Tyler Rich. Since 2011, CMT’s LISTEN UP franchise has helped launch of the career of budding superstars including Brett Eldredge, Cole Swindell, Dustin Lynch, Jon Pardi, Kacey Musgraves, Kelsea Ballerini, Maren Morris, and RaeLynn. Last year’s class alone, included breakout stars Carly Pearce, Luke Combs and Midland.